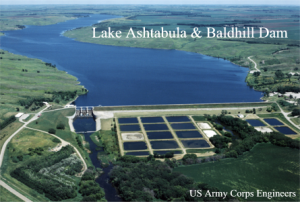 ST. PAUL, Minn. – The U.S. Army Corps of Engineers, St. Paul District, is rescheduling a public scoping meeting on its Lake Ashtabula master plan. The meeting is being postponed due to the closure of all federal offices Dec. 5, in honor of President George H.W. Bush. The public scoping meeting for Lake Ashtabula Master Plan planned for Dec. 5, is now, rescheduled for Dec. 11, at the Valley City Fire Department. The meeting is being postponed due to the closure of all federal offices Dec. 5, in honor of President George H.W. Bush. The public scoping meeting for Lake Ashtabula Master Plan planned for Dec. 5, is now rescheduled for Dec. 11, at the Valley City Fire Department. The Homme public scoping meeting will continue to be held on Dec. 6.